JSConf US 2012 Welcome Video, YEEHHAAAWW! Brian Ford - Is Node.js Better? 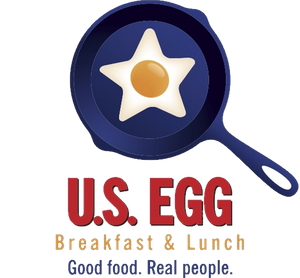 Cleanse your palette and mind with refreshing and rejuvenating food of all sorts at US Egg the morning after JSConf. Don't let the craziness of the Revolver Rock Out prevent you from properly saying goodbye to all of your new friend, come out for one last time! Named in honor of PhoneGap hero and notorious JSConf outlaw Andrew Lunny, our hangover café is being held on the opposite side of Old Town Scottsdale (about a 30 minute scenic stroll) and will have such wonderful treatments as The Texan, Protein Pancakes, and Idaho Hot Skillets. Basically, it is THE brunch you need before leaving JSConf, stop by whenever you can - someone will be there, possibly even the (in)famous Andrew Lunny himself. PhoneGap is proudly sponsoring this event so the whole team will be present, so be sure to stop by and get all of your PhoneGap questions answered! Come say goodbye in true JSConf style! Start out JSConf right by relaxing with the awesome crew from Jupiter on the amazing patio bar of Dos Gringos! Deep in the heart of Old Town Scottsdale, this mexican cantina will be the opening party to blow the doors of this little event we like to call JSConf. Well known throughout the southwest, this eclectic little place is not by any means just a taco joint, it is a full out lifestyle of chill and laid back in the Arizona heat. Be sure to come out to the opening event to meet old friends, but more importantly make new ones. This will be the first time everyone at JSConf gathers together, it will undoubtably be quite the evening. Even better, Dos Gringos is known for the award winning tacos -- which will be available in plenty for all to enjoy throughout the evening. Come eat, drink, and make friends as Jupiter kicks off the start of JSConf US 2012! If you are bringing a significant other to the conference, please bring them along - their attendance is included with their Significant Others track ticket. If you are a local or a rascal just hanging around JSConf, we are offering party tickets for purchase here Get them before the roll away like a tumbleweed. Close out JSConf with all of your newest friends at the ultra swanky Red Revolver lounge brought to you by the fine folks at Yammer. Holster your revolver as you stride on this eclectic blend of dark elegance. We will rock this lounge until the cows come home. Incredibly good food will be provided as well as beverages to wet you whistle. 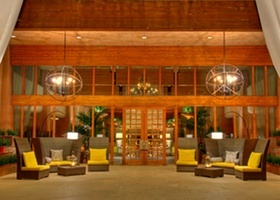 This is one of the most luxurious and epic lounges we have ever held a JSConf at, you can bet that there will be line dancing before the night is through, so dress ready to rock JSConf US 2012 into the history books. Worry not about getting home, you are only about 15 minutes from the venue and in the heart of downtown Scottsdale. If you are bringing a significant other to the conference, please bring them along - their attendance is included with their Significant Others track ticket. If you are a local or a rascal just hanging around JSConf, we are offering 20 party tickets for purchase here Get them before the roll away like a tumbleweed. Epic party will be epic. After a long day of conference sessions, we know that you get that feeling like you need to break out and grab life by the horns. Our friends at Bloomberg are right there with you and will be hosting an incredible party at the Saddle Ranch Chop House the evening of April 2, starting at 8:00 PM. It is a just a short walk from the JSConf venue so you can get back easily. Come dressed for this rodeo, because there will be a full-on Mechanical Bull Tournament throughout the evening. Yup, try you luck to stay on the bull and see if you can beat the record and own the bragging rights for the first ever JSConf Rider Cup. Get ready to saddle up on the meanest mechanical bull in the West and try your best to tame this bucking bronco. As with every JSConf event, there will be an abundance of amazing local food including Quesadillas and Empanadas from 8PM - 10PM. The heavy food will be followed up with fresh baked chocolate chip cookies and brownies. If that isn't enough for you, don't worry it gets better -- Cotton Candy Towers AND make your own s'mores around the fire pit. If you are bringing a significant other to the conference, please bring them along - their attendance is included with their Significant Others track ticket. If you are a local or a rascal just hanging around JSConf, we are offering 20 party tickets for purchase here Get them before the roll away like a tumbleweed. Saddle Up! We Ride To FireSky At Dawn! JSConf is one of the most exciting and cutting edge technical conferences ever and it's all about JS - what could be better? This year we put on our boots, saddle up our horses, and head out to that crazy little town with the epic western feel and perfect JSConf vibe, Scottsdale, Arizona! Come prepared as your curators Chris and Laura Williams pull out all the stops in the fourth edition of JSConf US. The conference itself will be held at the amazing FireSky Resort and Spa, but will have parties Sunday, Monday, and Tuesday all around Scottsdale. Our room block is completely sold out, but there are many amazing hotels right near by the conference venue. Just like every JSConf events, there will be a major focus on once-in-a-lifetime shared experiences with the best and brightest people using JS, so come prepared to cowgirl (or cowboy) up! All of our seats are currently sold at this point in time and our hotel block is completely full. If you are traveling to JSConf, we suggest using a service like Hipmunk to find yourself a nice place to stay. If you are bringing your significant other(s) please sign them up for a fun two days of touring and other fun activities here. Phoenix isn't the greatest city for public transit, so we and the team from Twilio teamed up to provide you with transport to and from the conference. The Twilio Bus will run all day from Phoenix Airport (PHX) to the Hotel Venue. 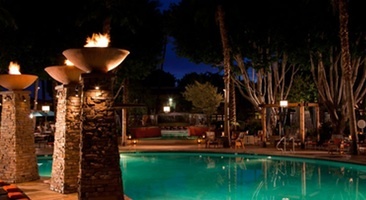 If you aren't staying at the Firesky resort, it will still drop you off in the downtown Scottsdale area. When you arrive, you can find out the latest schedule update for the bus by texting: 972-44-JSCNF (9724457263) and it will send you a wait time estimate. Technology is awesome! 5:00PM - 5:30PM Daniel Henry Holmes Ingalls, Jr.
Never fear, the Twilio bus is back again to help you out!! Regardless if you stayed at the Firesky or nearby, you can hop the bus to get to the airport from the Firesky resort. When you arrive at Firesky, you can find out the latest schedule update for the bus by texting: 972-44-JSCNF (9724457263) and it will send you a wait time estimate. Technology is awesome! Cleanse your palette and mind with refreshing and rejuvenating food of all sorts at US Egg the morning after JSConf. Don't let the craziness of the Revolver Rock Out prevent you from properly saying goodbye to all of your new friend, come out for one last time! Named in honor of PhoneGap hero Andrew Lunny, our hangover café is being held on the opposite side of Old Town Scottsdale (about a 30 minute scenic stroll) and will have such wonderful hangover treatments as The Texan, Protein Pancakes, and Idaho Hot Skillets. Basically, it is THE curing solution you need before leaving JSConf, stop by whenever you can - someone will be there, possibly even the (in)famous Andrew Lunny himself. PhoneGap is proudly sponsoring this event so the whole team will be present (in some manner or another), so be sure to stop by and get all of your PhoneGap questions answered! 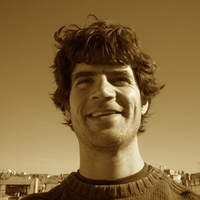 Chris is the Vice President of Product Development at SaferAging, co-curator of JSConf, founder of Iterative Designs, and producer of the	Minute With	podcast series. He has some crazy ideas about how we, technical leaders around the world, should	change the world for the better. 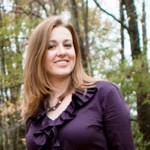 Laura is the founder of	Loda Floral Design	and the co-curator of	JSConf. She is the organizational force behind JS Boot Camp	in Washington, DC and quite impressively is a licensed architect and an awesome mother. The theme for JSConf US 2012 is "The Old West" and being set in Downtown Scottsdale is the perfect backdrop. If you have never been you are in for a treat - if you have, then you know what is in store. Cowgirl and Cowboy outfits are very much encouraged, trust us you won't be the only one wearing it. We are trying to make something different and we are trying to do it with JS. JSConf is dedicated to providing a harassment-free conference experience for everyone, regardless of gender, sexual orientation, disability, physical appearance, body size, race, or religion. We do not tolerate harassment of conference participants in any form. Sexual language and imagery is not appropriate for any conference venue, including talks. Conference participants violating these rules may be sanctioned or expelled from the conference without a refund at the discretion of the conference organizers. These outlaws are wanted to appear before the audience at JSConf US 2012 for their actions within the JS community. These individuals should be considered extremely geeky and dangerous. Do not attempt to apprehend - they might have a hidden keyboard. All efforts should be made to avoid direct contact with them until they can be brought to justice. You have been warned. 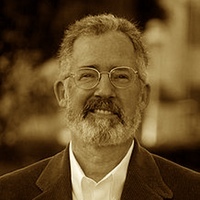 Daniel Henry Holmes Ingalls, Jr. is a pioneer of object-oriented computer programming and the principal architect, designer and implementor of five generations of Smalltalk environments. He designed the bytecoded virtual machine that made Smalltalk practical in 1976. He also invented Bit blit, the general-purpose graphical operation that underlies most bitmap graphics systems today, and pop-up menus. He designed the generalizations of BitBlt to arbitrary color depth, with built-in scaling, rotation, and anti-aliasing. 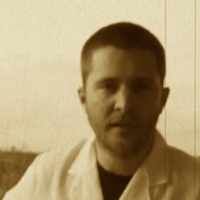 His major contributions to the Squeak system include the original concept of a Smalltalk written in itself and made portable and efficient by a Smalltalk-to-C translator. 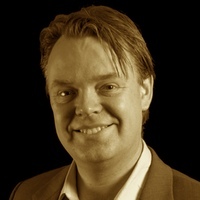 Rick Falkvinge is the founder of the first Pirate Party and a campaigner for next-generation civil liberties and sensible information policy. In particular, he stresses how the copyright industries work in collusion with Big Brother hawks to erode or eliminate the parts of Internet that guarantee our civil liberties. On this platform, one of privacy and digital rights, his party became the largest in the below-30 demographic in the 2009 European Elections. When not doing politics or exploring technical subjects in detail, Mr. Falkvinge can usually be seen cooking, sampling a scotch whisky, or riding a fast motorcycle. One cannot simply be told what Project Bikeshed is, one must be shown. 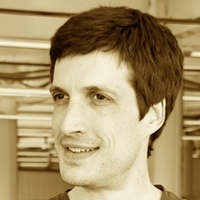 Bruno Fernandez-Ruiz is huge functional programming advocate and jazz addict. When he's not improvising on the piano or chilling to McCoy Tyner, you can find him at Yahoo! planning the technical and strategic direction of Yahoo! 's Platform teams. Currently, he's focused on developing Cocktails, a new technology stack that creates rich, interactive and highly personalized experiences optimized for connected devices. He loves cocktails, especially Mojitos and hopes you'll be able to join him for one or two at the conference. Check out his blog here http://www.olympum.com/. 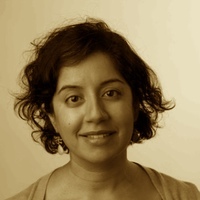 Avni Khatri is a Web Applications Architect at Massachusetts General Hospital in the Lab of Computer Science. She builds database-backed medical applications using OpenACS, an open source web application toolkit. Prior to coming to MGH, she worked at Yahoo! 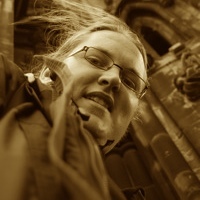 Inc. as a Senior Front-end Engineer on the Flex Force Tiger Team. She was also co-president of the Southern California chapter of Yahoo! Women in Tech. In her free time, she contributes to Kids on Computers and she plays guitar. In May 2011, she traveled to the Huajuapan de Leon region of Mexico for a Kids on Computers summit where she helped install two new computer labs and upgrade two existing computer labs. 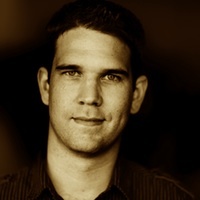 Brian has been working on Rubinius since December 2006 and with Engine Yard since January 2008. 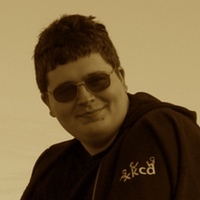 He created the RubySpec project to improve the standards for high quality, consistent, and compliant Ruby implementations. 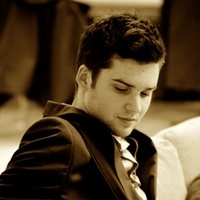 He hopes to improve Ruby and thereby make the lives of developers even better. He enjoys whisk(e)y but will accept good wine in a pinch. I am an Open Web Evangelist, Enterprise Architect, and hack. I have been developing for the web for fourteen years. My clients range across industries including defense, healthcare, technology, e-commerce, human resources and religion. Although I have developed native applications for the most popular mobile platforms, I now prefer to spend my time building web-based mobile applications. I live outside of Salt Lake City, Utah with my wife and four children. This cowgirl lives in Scottsdale, so the commute to JSConf is killer! Kristin is a high stakes meeting facilitator and speaker - so you're going to experience a unique conversation about living in a high tech world. As one of the first female graduates of the United States Coast Guard Academy and the first woman stationed onboard a USCG Cutter, Kristin learned early on about working with others. In 1990, she became one of the first USCG facilitators - and made every mistake one could! Frustrated, she avidly researched this nascent skill called "facilitation" and found herself training a cadre of internal facilitators. 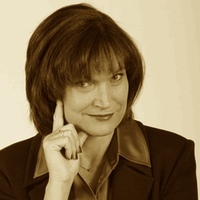 By 1992, companies were asking her to teach their people how to facilitate and lead teams! Since then, she has been sharing her concrete approach to team building with a treasure trove of practical concepts, tools and techniques her clients can apply immediately to see positive, substantive results. Might be better known as mraleph. Born in the center of snowy Siberia. Studied applied math, battled harsh climate and worked on Java VM with AOT compiler. 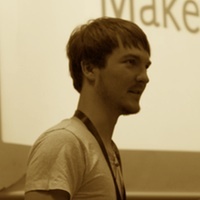 These days employed by Google in Aarhus, Denmark and spends his days working on V8. 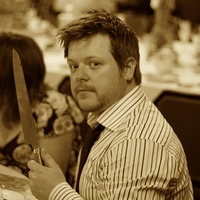 Jake Archibald is a developer at Lanyrd specialising in client-side stuff, although dabbles in a bit of Django. He built their mobile web app which went for ambitious device support rather than "Webkit only thank-you-please". He's keen on web performance, developing Sprite Cow to help ease the pain of sprite sheets, and started a blog way after blogs stopped being cool. Lightweight, drunk on two pints (not sure if I'm proud or less than proud of that... at least I was a cheap date!). Andy has hacked on V8 and JSC, currently focusing on JSC. 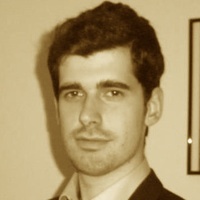 He works for Igalia, a Spanish cooperative that does consulting around free software projects. He spent two years in Namibia with the Peace Corps. He speaks Oshiwambo and has a black belt in Aikido. Started coding game mods at 13. Moved to freelance web development by high school. Graduated with a B.Sc. in Computer Science from PSUT, a Jordanian college, having interned twice at Google, then joined Google as a fulltime engineer in 2011. Co-created repl.it in the summer after graduating and starting at Google. 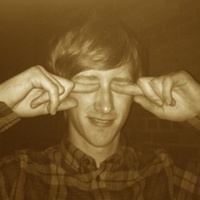 He develops HTML5 Boilerplate, Modernizr, HTML5 Please, and recently helped you make animated GIFS totally clientside at mothereffinganimatedgif.com. Funny fact, until now he has never been on JSConf's main stage - but that is all about to change. Yeehaw! 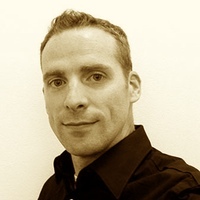 Jarred Nicholls is an engineer at Sencha, the creators of the leading HTML5 app development frameworks Ext JS and Sencha Touch. 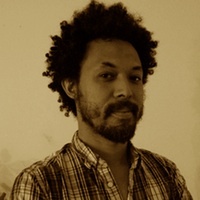 For the past decade, he has worked on large projects and products in a wide array of industries; everything from speech recognition and telephony, to HTML5 and Mobile [Web] development. Along the way he has contributed to large open source projects including but not limited to Ruby on Rails, Mono and WebKit. 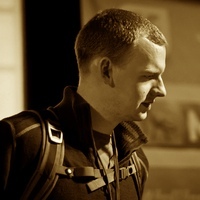 James Whelton is the cofounder and director dude at CoderDojo, a movement of free coding clubs for young people. James travels around helping set up Dojos all over the world and fighting crime. He often partakes in spontaneous street breakdance battles. 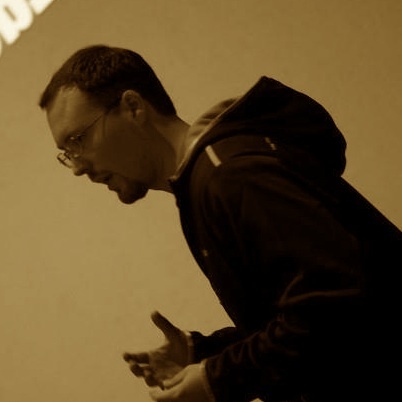 In under 15 minutes, James gave the best presentation ever done at a JSConf and changed the world - this year we give him a full speaking slot. James Whelton Fan Club shirts are optional, but recommended. Like another JSConf speaker alumni, he studied literature in school, which means he has no clue what he's doing and he is hyper critical of everything. Despite his alias, he is not obese (though will respond to @fat). He is an Aries. He doesn't like vegetables. He does like NHL 93. The Best Darn Sponsors Out There! Yammer (www.yammer.com) is the leader in enterprise social networking, providing a secure way for employees to communicate, collaborate, and share information. The basic version of Yammer is free, and customers can pay to upgrade their network to receive additional administrative and security controls, priority customer service and a dedicated customer success manager. We have more than 4 million users using our award-winning Software-as-a-Service (SaaS) solution to improve employee productivity and engagement. PhoneGap is an open source platform for quickly building cross-platform mobile apps with HTML, CSS and JS. It is the only mobile platform that supports 7 operating systems: iOS, Android, BlackBerry, webOS, Symbian, Bada and Windows Phone. The source has been downloaded more than 600,000 times, with thousands of apps available in app stores today. All of this and we just got started at the very first JSConf, which we are very proud to join this year as a sponsor. The Yahoo! Developer Network (YDN) is the global innovation hub for developers and designers. Over 500,000 developers visit YDN every month to socialize, build products and learn new skills. Developers socialize in the YDN Portal and through many global events, such as Open Hack (for all developers), Hack U’s (for universities) and webinars. YDN enables developers to build innovative product experiences using powerful platform APIs, SDKs, and by leveraging its widely used open source software and tools. Developers learn from the vast collection of documentation, support, blogs, forums, and outreach. Find out more at http://developer.yahoo.com. Nodejitsu makes node.js clouds possible. Our products provide companies with a compassable solution for deployment, monitoring, provisioning, and scaling of any applications on any infrastructure. 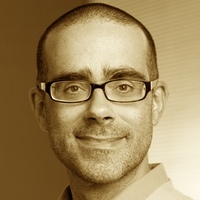 Nodejitsu advocates Open Source software and Open Standards. With 250 million Tweets per day and more than 100 million active users, there is something for everyone on Twitter, no matter what you're interested in or where you are in the world. Twitter can be accessed on the web, on smartphones and on the simplest of feature phones. At Twitter, we believe that the open exchange of information can have a positive global impact and are inspired by stories of people using Twitter to improve the world in unexpected ways. Twitter is one of the top 5 most visited sites in the world, and we're tackling unique challenges at scale. We've open sourced much of our infrastructure and front-end projects such as Bootstrap and Hogan.js. Get in touch via @JoinTheFlock and twitter.com/jobs! See why you should join today! Internet Explorer 9 puts your site at the center of the user's experience in Windows. With native Jscript compilation, graphics acceleration and standards support, it's the fastest version of IE and is quickly becoming the most popular version of IE on Windows 7. Our developer tools help you debug into Jscript, support different versions of the rendering engine for backward compatibility testing and do performance profiling of your code. Get ready for Internet Explorer 10 and Windows 8 where your Jscript skills can be used to build both web apps and Windows apps using HTML5, CSS and Jscript. Koding is a developer community and cloud development environment where developers come together and code - in the browser... with a real development server to run their code. We are creating a platform for developers where getting started is easy. Developers can work, collaborate, write and run apps without jumping through hoops and spending hard earned money. We realized nothing like this existed in when we got started in 2008, so we decided to create it ourselves. We're hard at work on a new version that's currently in private beta. At JSConf, we'll be releasing the new Koding to the public. At Zaarly we're building kickass products that have a real shot at changing how the economy works. And even more importantly, we're doing it with a group of people who genuinely love working together. We are directly across from the most hipster coffee shop in San Francisco. We've got super interesting problems to solve and everyone at Zaarly owns something critical to our success. It's pretty great... hit us up if you'd be interested in talking to us about what we're up to. We're on the hunt for a small number of good human beings to help us build something mind-blowing. Proud sponsors of the all day, every day espresso bar. Use the Zaarly app for espresso delivery! Faithlife provides social networking, communication, and Bible-centered collaboration for Christian communities. A new service from Logos Bible Software, Faithlife already serves more than a million users. Not only are we the easiest way to sell stuff online via a beautiful, customizable shop, but we're also the easiest e-commerce platform to integrate with and build stuff on top of. Shopify prides itself on concentrating on the 80% of what every shop owner needs, and does a really, really good job of it. Here's where you come in: there's still 20% left that some merchants need - services like product recommendation engines, in-browser chat, SalesForce and Facebook integration, on demand tshirt printing, an Arduino thing that lights up every time a sale happens, etc. The list is endless. Make us a thing that lets you take a picture of a thing, add it to your store, and post on Craigslist. Awesome. Check out http://shopify.com/partners - we have a Node.js adapter and a JSON API. Proud sponsors of the JSConf Staff and Organizers! Paperless Post specializes in the intersection of technology and visual art, providing the tools to design graphical, interactive messages that redefine what stationery can be. Our users, ranging from top-tier cultural institutions to brides, trust us with everything from fundraisers to wedding invitations to thank you notes. We ship features that over 10 million people interact with, and we are able to focus on quality because our users pay us directly. We care about pushing technology to its limits and creating a product that people actually use. We also like office dogs and karaoke. Check us out at http://www.paperlesspost.com and http://dev.paperlesspost.com. Sauce Labs, the web application testing company, provides Sauce Scout, a manual cross-browser testing tool, and Sauce OnDemand, a private cloud-based Selenium service for running automated tests. Founded by the original creator of Selenium, Sauce allows you to run functional cross-browser tests with massive parallelism that's more stable and trouble-free than if maintain your own Selenium test infrastructure. To date, nearly 10 million tests have been executed in the Sauce cloud. DotCloud is a new kind of PaaS that lets developers build, deploy and scale applications in the cloud using virtually any combination of language and database stacks without the need for additional hardware or software. DotCloud offers a single point of management, enabling developers and IT organizations to seamlessly leverage innovations in developer tools and technologies. Based in San Francisco and funded by Benchmark Capital and Trinity Ventures, DotCloud was founded by Solomon Hykes and Sebastien Pahl in 2010. For more information on DotCloud, visit www.dotcloud.com. Atlassian products help innovators everywhere plan, build and launch great software. More than 17,000 large and small organizations - including Citigroup, eBay, Netflix and Nike - use Atlassian's issue tracking, collaboration and software-development products to work smarter and deliver quality results on time. Learn more at http://atlassian.com. Proud sponsors of the JSConf video recording and making it available for FREE!!! Facebook is a social utility that helps over 500 million people around the world communicate more efficiently with their friends, family and coworkers. The site has been built on common open source software such as Linux, Apache, MySQL, and PHP and over the past few years, the company has developed a number of open source infrastructure technologies to support the site's growth including HipHop for PHP, Cassandra, Hive, Scribe, and Thrift. Facebook engineers actively contribute and participate in various open source projects, developing technologies that facilitate the sharing of information through the social graph. Proud sponsors of the Significant Others track at JSConf! With Spotify you're always near the song you want to hear. 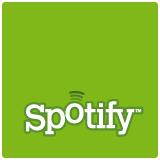 Spotify is instant, fun and simple. Millions of tracks, any time you like. Just search for it in Spotify, then play it. 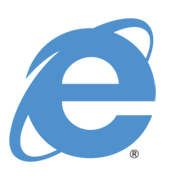 Cloudant is a scalable data layer service for data-driven web apps. Built on CouchDB, a RESTful/JSON interface, and MapReduce, it lets developers focus on building applications, not managing databases. With built-in advanced analytics, full-text search, and global distribution, Cloudant is the ideal data layer on which to build JS applications. Cloudant is a scalable data layer service for data-driven web apps. Twilio, the cloud communications company, is reinventing telecom by merging the worlds of cloud computing, web services and telecommunications. We provide a telephony infrastructure web service in the cloud, allowing web developers to integrate phone calls, text messages, and IP voice communications into their web, mobile, and traditional phone applications. Meltmedia is a fast-growing web, mobile, and software development firm located in Tempe, AZ. We have a great team of "interactive superheroes" who help companies succeed in the digital realm. Our superheroes include technology experts, digital strategists, and design leaders who work together throughout the entire project cycle. We work hard, but we also play hard with epic Nerf battles, bimonthly happy hours, and general geeky banter. We’re very proud to support JSConf this year and want to invite all attendees to our exciting pre-conference event, NotConf. Unicon, Inc. is a leading provider of IT consulting services for the education market. Unicon works with institutions to find solutions to meet business challenges. Unicon specializes in using open source technologies to deliver flexible and cost-effective systems in the areas of portals, LMS, identity management, video, calendaring, email, and mobile. Unicon is a Sakai Commercial Affiliate; an InCommon Affiliate and Participant; an Industry Member of Internet2; a Jasig and VMware Partner and authorized Solution Provider for CAS, uPortal, and VMware; a Solution Partner of Kaltura; and a Services Partner and reseller of Liferay. JSConf US 2012 is being held at the oasis in the desert known as the FireSky resort in Scottsdale, Arizona. For those of you looking to hitch your horse, we definitely recommend staying at this fine establishment and are able to offer you the amazingly low rate of $189 USD per night for super swanky accommodations. They have everything including a spa, firepits, and amazing waterholes for you go swimming in - perfect for resting off that hard trip across the plains or mountains (or the plane flight). Right in the heart of Downtown Scottsdale, everything will be within walking distance to the event OR transportation will be provided. Also all rooms at the FireSky come with free WIFI for those of you that can't just disconnect. To get to Scottsdale, AZ we recommend flying into the Phoenix Sky Harbor Airport (PHX), "America's friendliest airport", as it is just 9 miles from the resort. You can hop a taxi/shuttle (roughly $30) or rent a car - there is free parking at the hotel for our attendees. If you can, allow for a couple days before or after the conference and take advantage of the desert by driving to the Grand Canyon National Park and see one of the wonders of the world. If you don't want to spend 8 hours driving in a day, just take a quick trip up to the beautiful Red Rocks of Sedona which is just 2.5 hours away and absolutely beautiful. If amazing rock formations aren't your thing, drive around the nearby Camelback Mountain and all the super mega-homes. Either way, it is well worth the trip! Note: The "Moo" was provided by JSConf curator, Virginia Williams. All rights reserved. Copyright © Iterative Designs 2012. Saddle Up. The Twitter Track at JSConf is a place for you to present on whatever topic you feel like is important to be presented. 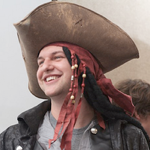 There are no limits, but all talks and presenters must adhere to the JSConf Code of Conduct. All talks will be recorded and published, by registering to speak you release the audio and video rights of your presentation to JSConf for publication. To sign up for a slot, you must use the email address that is registered with your ticket. If you have issues, email chris@jsconf.com immediately. Slots are all provided on a first come, first served basis. We reserve the right to cancel any slot if we feel that it is inappropriate or duplicate.